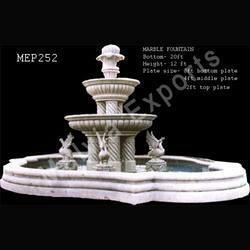 Experienced craftsman carve Marble Fountains in various shapes and sizes to suit the requirements of the clients. The special attributes of the Marble garden fountains is creatively carved, elaborate designs, gorgeous looks, long-lasting and fine finishing. 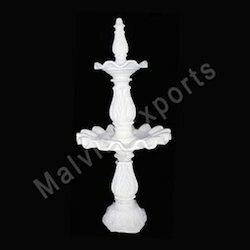 We are counted at the top in the list of the Marble Fountains Manufacturers, Exporters and Suppliers based in India. 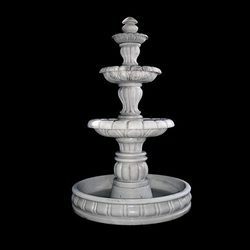 Large Garden Fountains offered is made available by us and comprises large garden fountains of size 240 x 96 inches. Designed and developed by experienced craftsmen, here our expertise lies in making these fountains available in different shapes and size options so as to suit the specific end usage needs of the customers. Being crafted using quality marble stones, the enriched design work makes these look beautiful. Our company has established itself as a leading manufacturer, supplier and wholesaler of superior quality Stone Fountain in the market at present. The offered product is fabricated using premium quality brass with 27 sticks, 36 sticks and 42 sticks. This product is hugely acclaimed for its sturdy construction, fine aesthetics and perfect finish, and is available at the most economical prices. 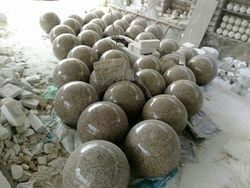 We are also exporting all finished Garden Fountains that are available different sizes and proportions for clients needs according to their home and garden area. These fountains are perfect to for your hostels, garden resorts, hotels etc. 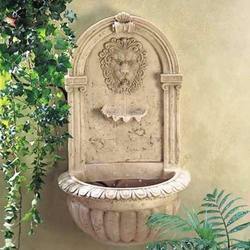 Small Garden Fountains offered are made available by usand comprises Garden Fountains of 22 x 52 inches in size. These exquisite marble carved pieces are well recognized in the market for their flawless finish standards including availability in different finish shapes and sizes so as to match up with the demands of the customers. Garden fountain, decorative fountain, fountains. 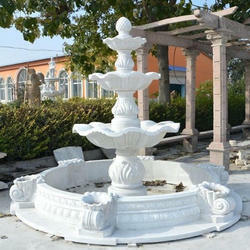 We are a leading manufacturer and supplier of Stone Fountain.